This course aims to provide students with a sound understanding of environmental forces affecting business operations and to improve their ability to analyze such environmental forces on Business. This course intends to provide students with a review of major environmental forces concept and a basic understanding of how these forces affects the operations of Business. This course also provides the students to the fundamental concepts of strategic management and practices. The course helps to develop. This course contains two parts: Business environment and strategic management in business environment students will familiarized with the topics such as introduction to business environment, political environment, environment regulations/legal environment, economic environment, socio-cultural environment, technological environment, Asian and global environment. In strategic management students will be familiarized with the topics such as strategic management, establishing company direction, internal analysis, evaluation company resources and competitive capabilities, strategic options, strategy formulation and strategic choice, strategy implementation strategic control and evaluation. Concept of Business Environment. Components of Business Environment. Environmental Scanning: Process and Techniques/Methods. Environmental Analysis Process (Scanning, Monitoring, Forecasting and Assessment). Types of Environmental Scanning ( Concentrated and Comprehensive Scanning). Importance of the study of Business Environment. Introduction to political environment. Components of Political environment. Government and its branches: legislative system, executive system, and other constitutional bodies. Business-government relationship, Government ownership of Nepalese business. Nepalese political environment: Issues and problems. Foreign Investment and Technology Transfer (FITTA) Act 1992. Companies Act 2006. Private Firm Registration Act 1958 . Industrial Enterprise Act 1992. Income Tax Act 1974 . Value Added Tax Act 1996 . Labor Act 1992. Partnership Act 1964 .Mines and Minerals Act 1985. Patent Design and Trade Mark Act 1965. Foreign Employment Act, 2007. Concept and objective of industrial policy in Nepal. Trade Policy: concept and objective of trade policy, export/import trade policy. Employment Policy: concept and objectives of employment policy. Tourism Policy: concept, objectives and characteristics of tourism policy in Nepal. An overview of Nepal's industrial sector – structure, performance and problems. Natural environment and energy situation in Nepal. Emerging business environment in Nepal. An introduction to socio-cultural environment. Socio-cultural components: attitude and belief, religion, language, education, family structure and social organizations. Introduction, Business and Technology. Human factors and technology. Science and Technology policy. Information Technology Policy, 2009. Electronic Transactions Act, 2007. Present level of technology adopted by the Nepalese business. Concept of Globalization. Forms of globalization. Regional economic groupings of Nations. Regional Trade Agreement in South Asia: SAFTA, SAPTA and BIMSTEC. World Trade Organization (WTO) -Structure of the WTO. Nepal's membership: opportunities and threats for the Nepalese business. Concept and characteristics of strategy. Level of strategy. Characteristics of strategic management decisions. Importance of Strategic management. Process of Strategic management. Steps in Strategic planning, Role of chief executives in strategic management. Meaning and Concept of Mission, Vision. Developing business mission and strategic vision. Communicating the strategic vision. Setting performance objectives (Strategic objectives versus financial objectives). SWOT Analysis. Concept of Internal Analysis. Process of Internal Analysis. Areas of Internal Analysis. Methods of Internal Analysis (Value chain analysis, Cost efficiency analysis, effectiveness analysis and comparative analysis). Concept of Company Resources. Strengths and resources capabilities. Weakness and resource deficiencies. Assessment of internal resources and core competencies (Available resources, Threshold resources, Unique resource, Core competencies). Strategic advantage. Market development, Diversification). Methods of strategy Development (Internal development method, acquisition and merger method, joint development and strategic alliances method). Concept and Process of strategy formulation, Evaluation of strategic alternatives (Suitability, Acceptability, Feasibility) Portfolio Analysis (BCG matrix. GE Business Screen, Hofer’s matrix). Concept of strategy implementation. Process of strategy implementation (operationalizing the strategy, Designing structure for strategy implementation). Resource planning. Management system for strategy implementation. Concept of control in strategic management, Types of control. Meaning and Characteristics of strategy evaluation. Measures of corporate performance. Types of strategy evaluation (Strategic evaluation and operating evaluation). Guidelines for proper control and evaluation. Agrawal, G. R., Dynamics of Business Environment in Nepal, Kathmandu: M. K. Publishers. Agrawal, G.R., Business Strategy & Strategic Management in Nepal, M.K. Publisher Kathmandu Aswasthappa, K., Business Environment for Strategic Management. Mumbai: Himalaya Publishing House. Pearce, J. A. and Robinson, R.B., Strategic Management, New Delhi: AITBS. Thomson, A. A. and Stickland III: Strategic Management, New Delhi: Tata McGraw-Hill. Wheelen, T.L and Hunger, J.D: Strategic Management and Business Policy, New Delhi: Pearson Education. 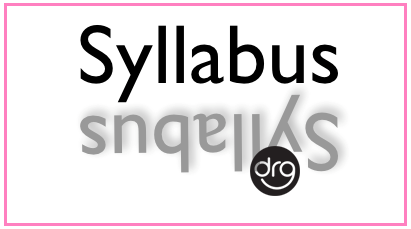 0 Response to "Complete Syllabus of Business Environment and Strategy | MGT 217 | BBS 3rd year (4 Years)"